Ghana will be the fastest-growing economy in the world this year, according to the International Monetary Fund. The lender’s growth forecast of 8.8 percent for the producer of cocoa, gold and oil dwarfs the 6.6 percent median in a Bloomberg survey. 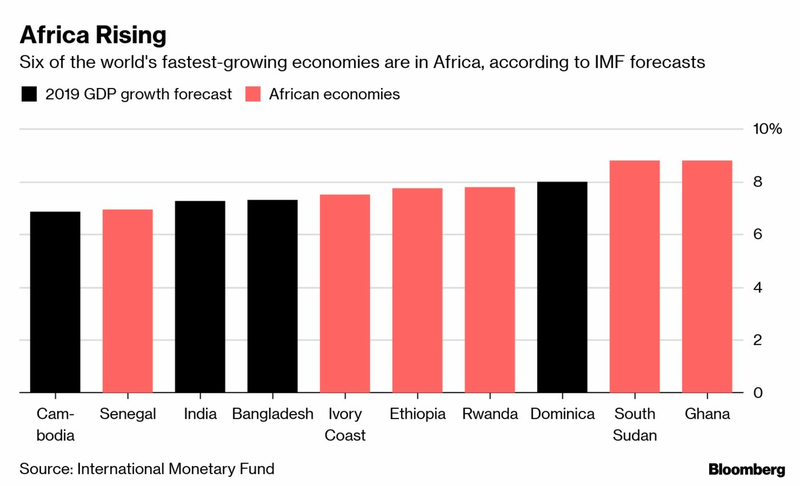 The IMF’s projection in its latest World Economic Outlook published Tuesday is “way too generous,” Neville Mandimika, an analyst at FirstRand Group Ltd.’s Rand Merchant Bank, said on Twitter.